Would you like a piping hot latte with your civic participation? That may soon be on the menu in Boston, where Mayor Marty Walsh Tuesday put out a call for applicants interested in running a coffee shop in the lobby of City Hall. The new sipping station follows a “pilot program,” (aka, several coffee carts), which was apparently pretty popular with the acronym-and-itinerary set. It’s part of a larger lobby renovation at City Hall, which will include a new information desk and separate employee and visitor entrances. According to records published by the state of Massachusetts, the estimated cost for that project is $830,000. 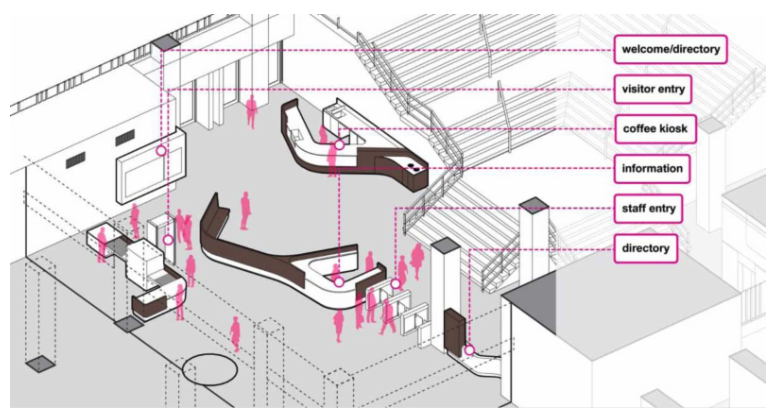 Last year, Boston selected designers for a large-scale makeover of City Hall Plaza as well. As for the mayor’s claim that the java-and-treat station will “enhance constituent interactions,” that’s difficult to substantiate. Certainly he’s right in the sense that coffee makes everything better, even traffic tickets and jury duty. But does it have an evangelizing effect? Will it bring in bodies, hungry for democracy and thirsty for a mellow Colombian blend? It’s difficult to say. But the trend toward beautifying civic spaces and generally making them more pleasant to visit is certainly on the rise. In 2014, a renovated plaza surrounding Philadelphia’s City Hall opened to the public, complete with an interactive fountain and, yes, a cafe. Visitors to that city’s exec building have also long been able to take a tour “with observation deck access.” In 2014, tech-savvy Palo Alto began a $4.5 million renovation of its City Hall, to include a glass-walled meeting room, renovated lobby and improvements to the council chambers. The Boston RFP is open to any vendor that would like to apply, according to the city’s release, and the city encourages participation from local, minority and women-owned businesses.